After our race on the west coast of Ireland, we boarded a bus to Galway city, switched buses to travel across the country to Dublin, boarded a plane to Amsterdam, and then made the flight late night to Iceland. It was a long day of travel, but it was still light when we landed around midnight (as the summer months have just a few hours of darkness each day). We had a bit of jet lag to get over, but we had a chance to train and take in a few of the beautiful sites around the capital city of Reykjavik. Thingvellir National Park (a UNESCO World Heritage site) is a very cool place as it is the junction of two tectonic plates on the mid-Atlantic range. The division between the North American continent and the European continent is most visibly seen here in Iceland. The break in the continental divide stems over 3 miles wide and increases 2 cm. every year. 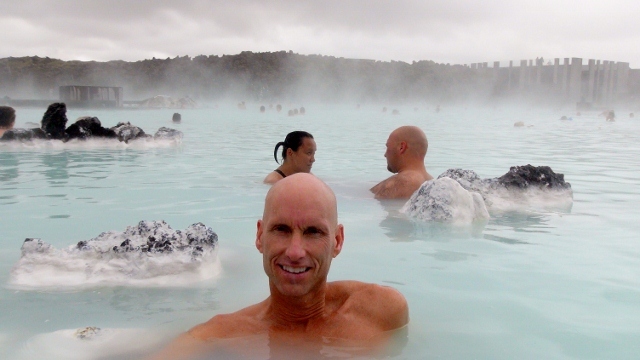 We also had the opportunity to see the incredible waterfall at Gullfoss, the faithful geyser, Strokkur, and finally soak in the thermal glacier baths at the world famous Blue Lagoon. If you have not visited Iceland, please put it on your list. You will feel like you are on another planet as the natural landscapes do not disappoint. We raced just outside Reykjavik on our first sunny day since we left the US. It was nice to race in the sunshine and I finished race #2 in 4:42. 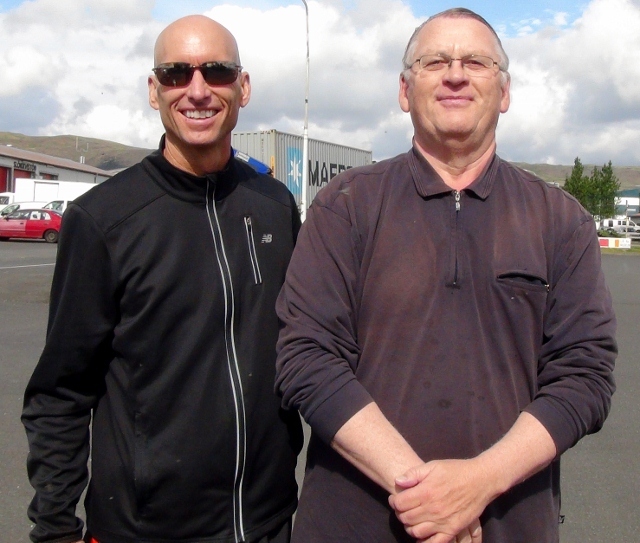 Our crew in Iceland was very friendly, especially our enthusiastic driver, Arne Thorolevison from Hveragerdi. We continue across Europe tomorrow as we overnight in Amsterdam. Fly to Athens and then onto the Greek island of Santorini on Friday. Awesome Dave! You keep adding to my bucket list!